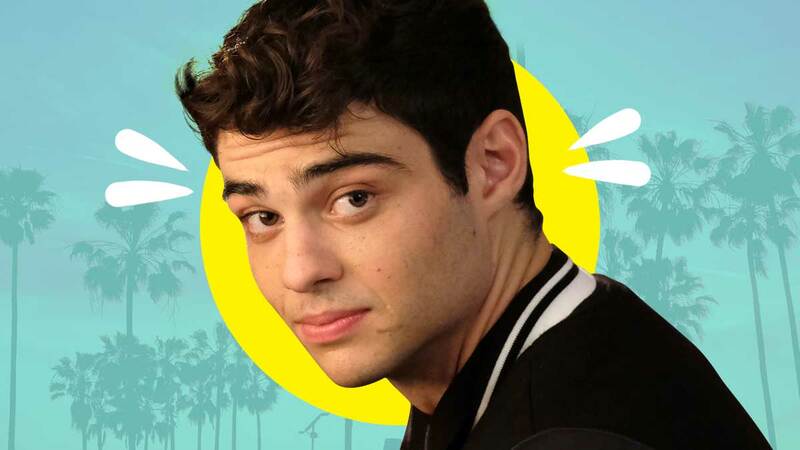 Don’t be surprised if Noah Centineo receives a role in every Netflix teen romantic comedy from now on, his name and face alone will draw in ten times the viewers right now. Since the release of To All the Boys I’ve Loved Before (2018) all eyes have been on him, with Noah picking up roles in upcoming Charlie’s Angels and Masters of the Universe films. But before he heads into the big league he’s sticking to his romantic comedies with this film which is rather familiar to one of his other projects. The Perfect Date sees Noah as Brooks Rattigan, a student, who in an attempt to save up enough money for college creates a “dating” app. This app allows people to hire him to pretend to be their perfect boyfriend for absolutely any occasion. Now, I know what you’re thinking. You’re thinking you’ve seen the movie where Noah pretends to be someone’s boyfriend. But see, that’s To All the Boys I’ve Loved Before, and this is The Perfect Date, but let’s be real, they’re like 60% the same movie. What are the differences? This movie isn’t as good, it isn’t as charming and engaging, and most importantly there are no woah woah woahs from Noah. That’s the real crime here. What this movie is though is a fun time. It follows all of the typical rom-com rules and is a very straightforward story I could have written in my sleep. That doesn’t take the enjoyment out of the film as the charisma from its lead actors is what makes it. Noah Centineo deserves all of his success right now because he’s got enough charisma to carry an entire film single handedly. He doesn’t do it on his own in this instance but he is so likeable across every scene it’s hard not to root for him. There is no way this guy can ever play a villain in anything convincingly. But there is one other actor in here who gives Noah a run for his money and that’s Laura Marano who plays Celia, one of the girls who enlists Brooks for his services. Talk about charisma, she is an electric ball of energy who lights up the screen each time she’s on. I’d say she’s the biggest highlight of the film as I feel where Noah may have been the focus, she’s the heart and soul of the story. I found myself more engaged in her character over Noah’s which is a testament to her performance. But the two of them together is like something else entirely. These two together make every minute they’re in thoroughly engaging. Seriously, give me that To All the Boys I’ve Loved Before sequel, but replace Lana Condor with Laura, and I’d pay money for that (sorry Lana). As for the supporting roles, Odiseas Georgiadis and Riverdale‘s Camila Mendes make a handful of appearances. Odiseas brings a little bit of personality to the film with his character but his story is pretty forgettable to be honest. Camila doesn’t offer much, she’s a bit of a plot device for a late part of the story and isn’t really given enough screen time to make an impact. The movie is good, it’s one of those Netflix rom-coms which serves its purpose really well. It’s nothing new, and you’ll catch it at home one night and watch it for what it is. Theres a couple of funny moments here and there to get you through and the charm of Noah and Laura alone will keep you invested. Yeah the story isn’t that inventive but you’ll watch it anyway and you’ll get a kick out of it.